Therapy Pro General Manager Karen Staal brings a refreshing energy, innovation and conviction to the disability sector at this time as it undergoes significant change and evolution in Australia as a result of the roll out of the National Disability Insurance Scheme (NDIS). As the first employee of Therapy Pro in 2017, Karen accepted the challenge of developing a new model of service delivery in order to genuinely create a different, positive experience for people accessing therapy services; where the needs of the person are truly central to the way therapy is delivered, and therapists work collaboratively to achieve the very best outcomes possible. Motivated by connecting people to the support they need and deserve, Karen leads Therapy Pro with an honest approach, grounded strongly in personal and professional values and integrity that guides a multidisciplinary team of highly skilled therapists who provide therapy which has a positive impact on people’s lives. An Occupational Therapist and accomplished professional, Karen brings over 27 years’ experience in human services, rehabilitation and disability, working in government and non-government organisations. Karen has held a number of influential senior strategic level leadership roles over the last fifteen years, most recently as Director of Clinical Practice for the Queensland Department of Disability Services, overseeing 160 therapists in the Brisbane region. A strong communicator, Karen has demonstrated exceptional leadership capabilities with allied health teams that provide high-quality services to clients, and is known for developing supportive team cultures where values and responsiveness are at the core of how the team collaborates to deliver outcomes. Karen’s leadership style is authentic, caring and values-driven. 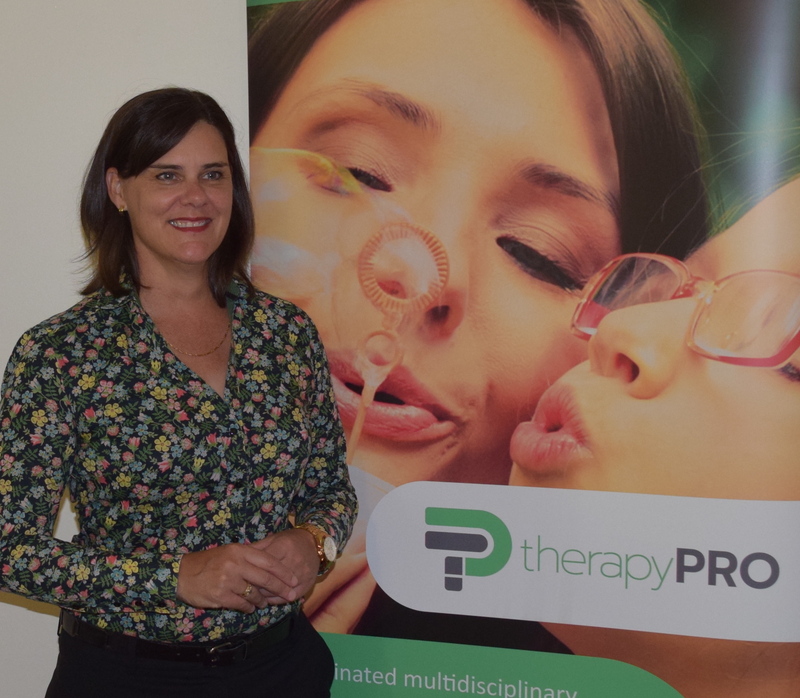 Investing heavily in being supportive with staff and setting high professional benchmarks, Karen has created a strong, positive team culture of outcomes focus and high service delivery at Therapy Pro. A perceptive listener, Karen is able to distil meaning and provide useful feedback quickly to therapists working with people who have complex needs. Karen is often said to tap into and harness people’s own way of working, adjusting to meet their style, which has helped build a respectful, successful, truly collaborative and professional work culture. Highly regarded by staff, Karen is a trusted mentor, described as an intent listener, providing real support for therapists, and an openness to discuss issues and ideas for ongoing improvement. As Therapy Pro continues to grow, Karen is keen to build on Therapy Pro’s success to date as a provider of excellent therapy that focusses on people’s needs, and engages therapists and staff to be able to do what they do well, and love what they do. Supporting Karen and the team of therapists are the Directors of Service Delivery, Lara Strohfeldt and Dr Fiona Davis. Lara and Fiona are two very experienced professionals who in their roles, provide clinical and management oversight to ensure outcomes that create real change for people. With a collaborative way of looking at complex situations, and sometimes a creative approach, Lara and Fiona navigate clinical and commercial priorities to support a skilled team of therapists in a multidisciplinary framework. Meet our therapists or read more about our therapy services.